bozarthzone: What Did You Learn Today? I've written quite a bit over the past few years about a certain disconnect we have with our learners. We tend to think about "Learning" with a capital "L", as some rather abstracted high-minded pursuit, a lifelong systematic interconnected journey of brain enrichment. (Heck, I have a doctorate in that. Don't get me started.) But the rest of the world thinks about "learning" as "solving a problem" or "getting an answer" or "figuring it out" or "looking it up". And really, even those of us in the business are bad for not always paying attention to our own learning -- we handle an issue or task and then move on to the next thing. 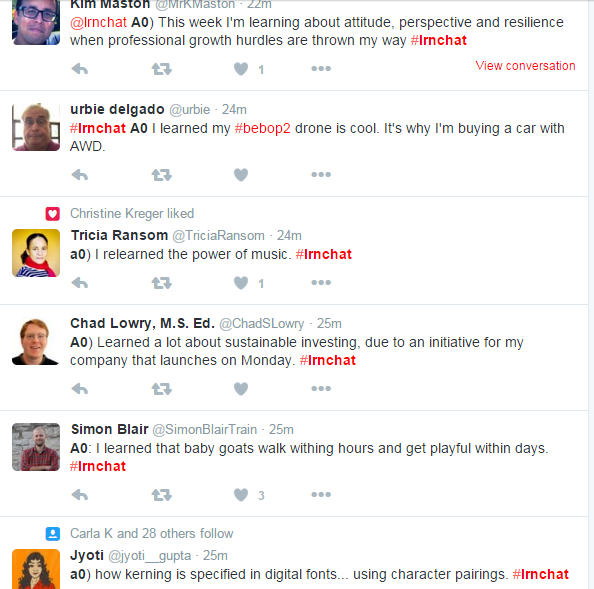 So: Lots of credit to #lrnchat founder Marcia Conner and her team, who years ago set the question "What did you learn today?" as the opener for every #lrnchat. It's a nice little warmup conversation starter sort of thing, meant to be answered in just 140 characters. I especially love that it helps, in a rapid-fire chat that as often as not includes new people or people who otherwise aren't very tightly connected, give just a bit of insight into the human behind the Twitter account: what interests them, what energizes them, what they struggle with. Also what expertise or specialty they might have. And whether they're funny. Or exasperated. Answering "What did you learn today?" can also serve as a great, quick way to show your work/work out loud. My own organization had great success with this some years back when I convinced then-management to change a line item on our weekly reports from "Research" to "What did you learn this week?" 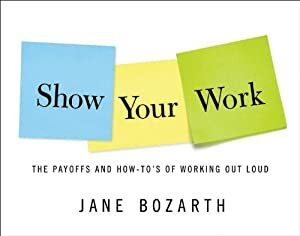 Not only were people working out loud a bit more, but the question helped teach them to reflect on their own learning and to better recognize it when it happened. We've recently started including the wrap-up question, "What did you learn tonight?" or "What will you do differently as a result of this #lrnchat?" (or some variation on that theme) to encourage our community to think intentionally about their learning and growth. 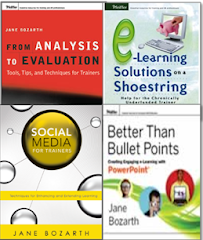 As one of the other #lrnchat moderators, Jeannette Campos, says, "This can make learning less accidental. It's also a signal of commitment; we're sharing our plans and intentions with a group. This is the power of learning with and through a community. Because if we aren't learning, what's the point?" So: Come to #lrnchat (Thursdays 8:30 pm ET, 5:30 pm PT, Friday 12:30 pm AEDT) and tell us what you learned that day. Or put the question on a post-it stuck to your office light switch and ask yourself as you leave at the end of the day. Or include the answer in whatever TPS-reportish document you submit. Just take a minute to answer it. You might find it energizing, or challenging, or funny, or at least satisfying in an I-did-that kind of way. Do whatever you can to build a bit of reflection into your practice and workday regardless of what kind of work you do. Among other things, it will help build mindfulness and awareness of your learning. Such a powerful question Jane. Thanks for sharing this post. I run a fortnightly Skype/teleconference hookup with a small internal community of L&D practitioners. I've recently asked everyone to post on our meeting OneNote (think 'wiki') answers to "What I'm working on (top 1-3 priorities)" and "Something I learned recently." You've given me the nudge I need here to start asking the question in a general post on our ESN once a week - Friday seems to be a good day to ask people the question "What did you learn this week?". Jane, don't know if you follow pro football shows, but during the past couple of seasons "What did you learn this week?" been among the first lines of the moderator on "Inside the NFL" on Showtime. So the question might be more powerful than you think!